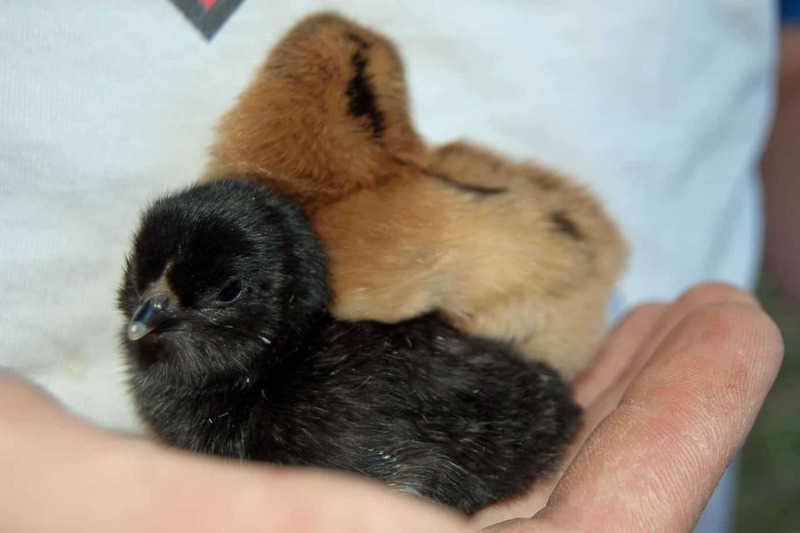 What To Do with a Broody Hen – Hatch Chicks! Maxine, one of our Buffs, is an extremely broody hen. We have dealt with her broodiness off and on since we got her in the summer of 2010. I cannot count the times I have gone to collect eggs only to find her sitting on all of them. In case you’re wondering, a broody hen is just a hen who wants to be a mama. I can’t really blame her, I have known the feeling myself. There really is no cure for a broody hen. She will sit and sit as long as the urge strikes her, and whether the eggs are fertilized or not. She will gather all of the eggs that the other hens lay. A broody hen will not lay eggs while she is brooding. We decided since Maxine is broody so much, we should just give her what she wants. So, we let her sit on four eggs. 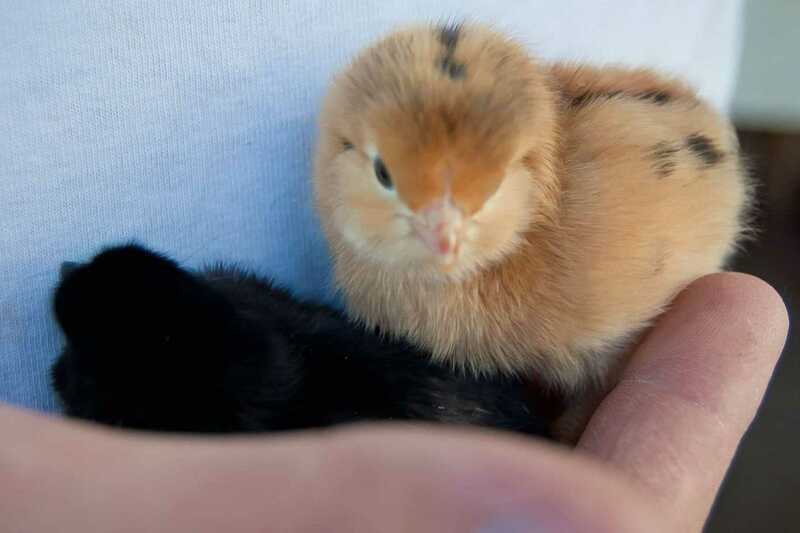 I didn’t know if Bad Foot was even old enough to fertilize eggs yet, so I was very excited and surprised to go out Tuesday and see a little black chick poking out underneath Maxine. Then we saw another orangey-looking one, too! So far, two of the eggs have hatched. We may be missing the third because Luke checked this morning and only saw one egg left and no extra chick. Not sure what happened there. Not sure if the other egg is going to hatch, either. It’s a lot of fun to raise chicks, and it’s been surprisingly easy with a broody hen. From what I’ve read, it can be hard to find a broody hen since chickens are now bred to be egg layers. Miss Maxine sure has been determined and it finally paid off! We went through the same thing with our ducks. the mama gathered the eggs and made a nest. before that we collected them. i knew how she felt, being a mom and all, so i left her set on them. then one day i noticed 5 little orange heads bobbing around! i was so proud. our first ducklings without buying them! i may let my chickens set on eggs if we have a broody hen.